Find out if you're eligible for the online BA (Hons) Graphic Design. Just fill in the form for a response from an IDI Admissions Advisor within 24 hours (Monday-Friday). You can speak with an Admissions Advisor, or apply now to start on the path to gaining your degree in Graphic Design. Throughout the BA (Hons) Graphic Design programme, you’ll build your confidence in the essential design skills and the use of creative techniques in research and visual presentation. You’ll gain a comprehensive understanding of core principles in typography, layout, image making and other key areas – and will learn how to use these principles to craft a compelling visual message. During your studies, you’ll develop your own unique and creative design profile, learning how to communicate your personal attributes through a portfolio that maximises your career opportunities. You’ll address key issues and concerns in self-promotion, considering your portfolio of design work in a number of physical and digital formats – and will learn how to present it to a variety of professional audiences and clients. 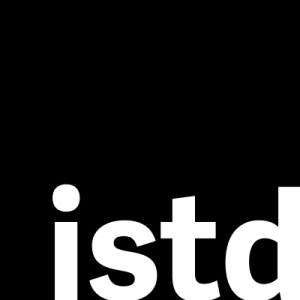 Widen your knowledge of the design industry by investigating historical movements, leading creative practitioners, contemporary consultancies and progressive design culture around the world. You’ll become familiar with a range of modern graphic design practices and debates, and will gain a deep understanding of their role in contemporary culture. Learn to use freehand, technical and digital methods to equip yourself with all of the valuable skills needed in the multi-skilled professional workplace. You’ll build a variety of skills in typography, layout, print formats and production, digital design software and problem-solving – producing a portfolio of both print and digital graphic design outcomes. Through your BA studies you’ll gain an understanding of the power of typography, and you’ll gain the professionalism and knowledge to apply it. Fully understanding typography and how it can be used for both clarity and visual expression may be one of the most important things you can do to improve your design portfolio. Take the opportunity to enter live briefs and respond to international student design awards and competitions as part of your studies. Opportunities to enter awards and competitions are built into selected modules at both Level 5 and Level 6. Past IDI graphic design students have been successful in awards such as the D&AD New Blood Awards, the Adobe Student Achievement Awards and more. We encourage you to compare us with alternative providers and ask them the following questions to see how they stack up against our BA (Hons) Graphic Design. Unlike many online degrees, our BA (Hons) Graphic Design has absolutely no compulsory face-to-face, residential or attendance-based elements – which means there’s no problem if you can’t travel or take time off work. Our Student Support team will also be on hand to help you every step of the way throughout your BA studies. Many online degree courses require you to log-in at specific times for scheduled or ‘live’ lectures and tutorials – but our BA (Hons) Graphic Design is designed to completely fit around your own schedule. When you join the BA (Hons) Graphic Design, you can expect no additional costs, paid ‘add-ons’ or exam fees – all content, resources and support are included in your tuition fee, regardless of how you choose to pay. I think anyone who is considering studying online should go for it. The possibilities are endless with IDI and it's so easy to fit it in around everything else going on in your life. It’s the best experience I’ve had studying: I could do it on my own time, and it also helped me to delve a little bit deeper in what I needed to do as a designer. Being able to have access to the tutors and their experience was fantastic. I was able to explore other ways and get some advice and direction on where I was going. That was absolutely invaluable. It's been such a great journey. The peer interaction and student support was really good, the feedback was very good, the interaction with the tutors was excellent. A lifetime goal has now been achieved thanks to IDI. Getting the 2:1 result, I was at work at the time, I went onto the IDI study site, saw the 2:1 and it was like bang, I’ve done it. The first level of your degree is designed to improve your core knowledge and understanding of design and the creative industries. You’ll explore and develop a foundation of fundamental skills in a wide range of media, using both traditional graphic design techniques and industry standard digital software. In this brief, you’ll create 3 chocolate wrapper designs based on a themed campaign by Cadbury and book publisher Wordsworth. The campaign is aimed to encourage young people aged 13-16 to read, by creating innovative chocolate designs themed around classic and contemporary novels. 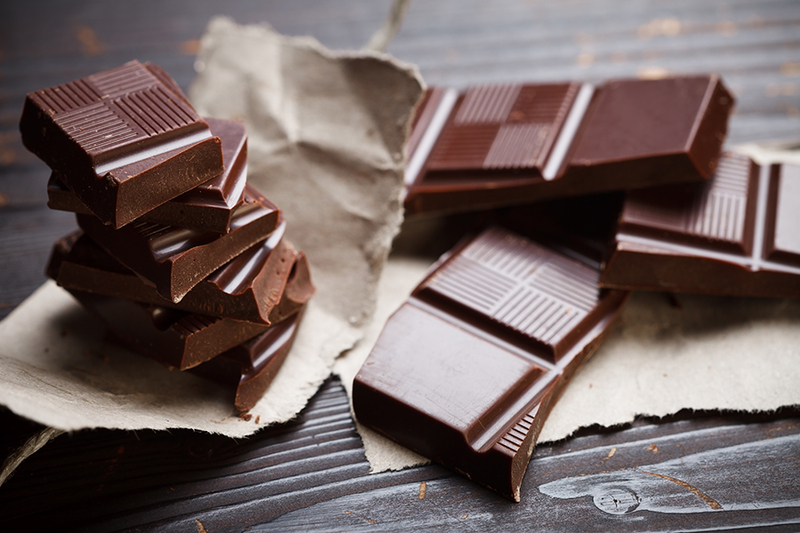 You should gather and evaluate a collection of characters that feature on chocolate, as well as other forms of branded materials. This will help you generate ideas for your own set of three solutions. You should examine a range of chocolate wrapper examples and packaging designs that will help to inform your ideas and concepts for the next phase of this brief. Your research should include evaluations of the use and effectiveness of colour, layout, typography and illustration/design styles. Your design thinking should be as experimental and imaginative as possible. Typeface style(s) for your titles are your choice, but these should aim to be as creative as possible, by using existing typefaces and adapting them so that their styles relate to each story. Once you’ve completed your artwork, you’ll create physical mockups of your wrappers to show how your designs would work in practice. You should then photograph all three designs in an appropriate setting. You’ll need to link the themes of your designs to how and where you photograph them. This is an important part of the brief, as your pack shots should show your work off to the best of your ability, using effective lighting and a dynamic setting. This first combined module will introduce you to core visual communication skills in both Graphic Design and Illustration. This will prepare you for a career in the creative industries, where designers and illustrators collaborate regularly. You’ll also extend your research abilities, problem-solving skills, range of design thinking and craft and mark-making techniques. You’ll be challenged to consider your creative thinking in the production of exciting visually narrative solutions. You’ll be assessed on your generation and development of ideas, the manipulation of digital imagery, and the production of narrative artwork in answer to the two main briefs. As part of your studies you’ll also develop your awareness of target audiences, and refine your presentation and communication skills. You’ll be introduced to the worlds of contemporary graphic design and illustration, giving you the skills and opportunity to make an informed decision about your future career path. In this module you’ll learn the core skills needed by contemporary graphic designers, before testing your knowledge through a series of graphic design project briefs. You’ll be introduced to the graphic design pathway, building skills in typography, layout, print formats and production, digital design software and problem-solving. There’s a strong emphasis on the design process, research, idea generation and development leading to the realisation of effective design solutions. Within the briefs you’ll produce a portfolio of both print and digital graphic design outcomes within a variety of contemporary contexts. You will explore contemporary graphic design in a range of sectors – including editorial design, packaging design, and identity and branding. In this module you’ll reflect on the relation between art, photography, design, media histories and cultures, as well as your own creative practice. You’ll become familiar with a range of modern graphic design and illustration practices and debates, and understand their role in contemporary culture. You’ll also explore a variety of theoretical, historical, professional, cultural and critical perspectives relating to these practices. This module also gives you the opportunity to improve your critical analysis skills and you will communicate your ideas using correct, conventional academic referencing. A series of activities will give you the opportunity to practise these skills and receive feedback before you complete your final essay. In this next level, you’ll develop your newfound skills through advanced practice activities in design thinking, idea generation, development and presentation. You’ll start to build your own brand and explore key aspects of self-promotion – such as personal stationery and the design and creation of printed and digital portfolios. 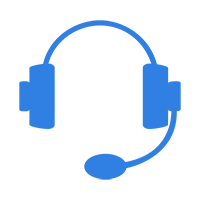 Design a personal logo, social media logo and self-promotional items displaying a consistent style throughout. The identity or stylistic theme of your logo designs and promotional items should be consistent throughout and be linked to those used in your PDF portfolio. Your logos and promotional items are to be created using Adobe Illustrator. You are required to design a CV and present it in a suitable format, in-keeping with your stationery design work. Traditional CV’s are presented in portrait, A4 (210 x 297mm) format, however, you are encouraged to submit a more unconventional CV design if it fits more appropriately with your overall visual identity. You must also develop and present your professional portfolio to be used as a tool for obtaining employment. Your portfolio layout should include your logo and any associated visual styling you applied from your stationery work in order to create a unified presentation. Working to an A4 landscape document (as this is for screen viewing), you will create a PDF portfolio using any of the Adobe CS Illustrator, QuarkXpress or InDesign as each of these has the facility for generating PDFs. Note: Interactive features are optional. 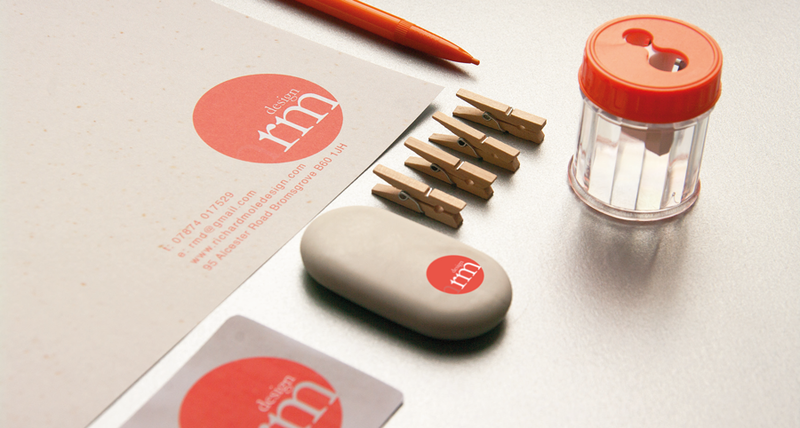 Elements of styling must be consistent with your business card and letterhead designs. This module builds on Level 4 Graphic Design and aims to both reinforce and further develop your core skills, knowledge and creative decision making ability, whilst introducing you to new essential skills and technologies such as web design and other screen applications. There is an increased focus on idea generation and the skills necessary to create, select and evaluate design content. The activities and project briefs will reinforce your core skills in typography, layout, craft skills and design for print, while integrating your knowledge with digital design and emerging digital media platforms. Within the briefs, you are encouraged to consider your audiences and users, and to exercise critical thinking, analysis and reflection as part of the design process. In the briefs, you will explore contemporary graphic design across a range of integrated contexts reflecting emerging sectors of the industry including graphic design for exhibitions, editorial design, identity and branding, packaging design and multimedia experience design. This module addresses key issues and concerns in self-promotion with a view to preparing you for employment within the contemporary graphic design industry. Your work on the briefs will be carried out in relation to professional and industry contexts, with a view to developing your understanding of professional practice in contemporary graphic design. You will be asked to carefully consider your portfolio in a number of physical and digital formats as well as other core aspects of self-promotion such as personal stationery and the design and creation of printed and/or digital portfolios. You will consider your work as a marketable product, and consider how to record, photograph, annotate and present it to professional audiences and clients. Throughout your work on the briefs, you will gain an insight into the world of graphic design through your own reflective research investigating leading contemporary design practices. This will allow you to explore professionally related themes, and encourage you to reflect on your personal brand and professional aspirations as an emerging designer. This module provides you with an opportunity to put into practice all of the skills, understanding and knowledge acquired so far on the programme. The project briefs will be focused on practical set design briefs drawn from a range of national and international design competitions or other equivalent industry briefs and live briefs. The project briefs are designed to develop your design work in preparation for producing professional and competition standard work. The project briefs will provide opportunities to develop your graphic design skills in areas such as branding and identity design, packaging, typography, advertising, editorial, digital, web and screen design. Within the briefs you will be encouraged to develop your own original and unique approach to design problem solving. Alongside this, you will further develop your skills in research, editing, idea generation, development and critical reflection, as well as the technical skills required to realise and implement your ideas. At Level 5, you will be introduced to critical theories and methodologies relevant to your own discipline. You will learn how to critically engage with your own practice, as well as that of others. You will undertake in-depth research and set out aims and objectives for further study, suggesting possible methods of approach. You will complete a series of activities and receive ongoing tutor feedback, which will support you in your choice of research topic for the final brief. You will also further develop your academic writing skills. In your final bachelor’s level, you’ll focus on building a portfolio of professional-level graphic design work, while developing a critical approach to your design process. You’ll work on professional projects such as live briefs and design competitions. You’ll also be encouraged to expand your self-promotion work through innovative 3D packaging design. You will select two briefs from a list of recommended contemporary and stimulating student competitions and industry briefs, enabling you to showcase your talents. The briefs demand a high level of research, thorough design development methods, and realisation of innovative outcomes and excellent levels of production. The briefs typically require a considered response which may include graphic design for branding, advertising, editorial design, social issues campaigns, packaging, typographic solutions, as well as new media and online contexts. *Actual list is longer, we’ve just provided you with a snippet here. D&AD, The Designers and Art Directors Association, sets innovative industry briefs with global companies, and awards the prestigious ‘Yellow Pencil’ achievement awards. YCN sets a wide range of challenging real-life design briefs for students in association with national and international companies. 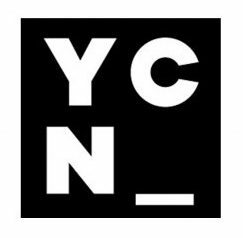 YCN also provides a website with many features and interviews with contemporary graphic designers. RSA – Royal Society of the Arts Student Awards The RSA sets annual student design briefs with a social issues and design problem solving focus. The briefs are run with real-life companies and challenge students to develop innovative solutions for social design campaigns. Typographic student award scheme with an emphasis on innovative typography within wider graphic design contexts. Students who meet the typographic standards receive free annual membership and publication opportunities. You are encouraged to be aware of all the major student graphic design awards. Many of the student award websites offer extensive graphic design resources, and a number of awards are also open to graduates as well as students. This module aims to provide you with the learning and skills required to confidently complete national and international competition briefs or other appropriate set briefs to advanced standards. The set competitions will vary, but examples of suitable competition briefs include Design & Art Direction (D&AD), Young Creative’s Network (YCN), International Society of Typographic Designers (ISTD) and other relevant equivalent set and live briefs. The briefs will challenge you to further develop your knowledge, understanding, skills and abilities. The project briefs will cover a wide range of discipline areas within graphic design such as branding and identity design, packaging, editorial layout, book design, advertising campaigns and digital/screen design. The module aims to help you to achieve professional standards and to produce advanced professional work equivalent to national and international design competition standards, as well as to meet your own personal employment ambitions. Alongside guided and peer group learning and critique, at this level you are also expected to work with a high degree of independence and personal initiative in order to fully develop your own individual directions and identity as a graphic designer. This final module on the BA (Hons) programme represents the culmination of your undergraduate design journey. It contains a series of challenging and rewarding set and personally generated project briefs, which will develop your commitment and passion for design, as well as your time and project management skills. In the module, you will complete a Final Major Project alongside at least two other projects, one of which will be a piece of personal design self promotion. The work produced within this module will form the bulk of your final graduating portfolio, and there is scope and potential for you to select projects that provide a unique and individual direction to your portfolio. Your Final Major Project will typically emerge from a set of self-negotiated briefs. This constitutes the most ambitious design project undertaken on the programme. In addition, you will complete a further competition brief or negotiated self-initiated project. A self-promotion exercise completes the module, during which you will consider self-branding and the presentation of your work in printed and digital formats in order to launch your design career. This module will enable you to conduct an in-depth study of an aspect of design culture of your choice, with emphasis on the analysis of appropriate social, cultural, economic, technical, historical and aesthetic issues relevant to your chosen topic and creative work. You will have the opportunity to bring your own interests into your work, and your independent research will be supported through discussion with your peers in the forums and course materials. 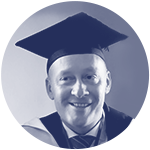 You will also further develop skills in research, organisation and planning, and critical analysis. The assessed element of this module consists of a 6,000 word essay or technical report. The four-year programme is split into three levels: Levels 4, 5 & 6. While you’re studying, we recommend you set aside a minimum of 15-20 hours per week for activities, as well as additional time to read supporting materials and for discussion with your tutors and peers. 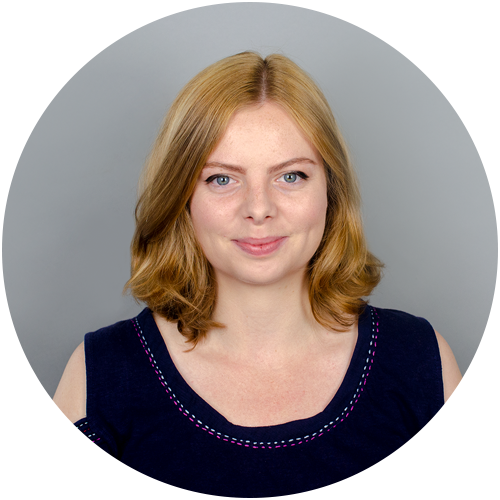 As the Programme Coordinator for the BA (Hons) Graphic Design programme, Gabriella will be your first point of contact for any non-tutorial enquiries. 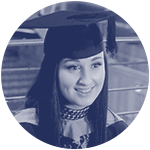 Gabriella has oversight of all aspects of the programme, and will therefore be best-placed to provide you with guidance and advice throughout the entirety of your studies. We consider all applications for the BA (Hons) Graphic Design on an individual basis. 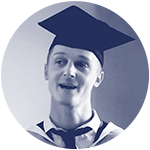 If you already have an HND-level qualification or equivalent work experience, you could be eligible to ‘top-up’ to an honours degree in as little as 2 years. Our Accredited Prior Learning (APL) process means you may be able to count this previous experience towards the completion of your degree. If you’ve previously studied a course with similar learning outcomes to IDI’s programme, then you can apply to have these credited against your degree. However, if your qualification or credit is more than 5 years old, it could be considered out of date and may not be used towards a degree. If you have international qualifications, we may ask you to provide an official document that states how your international qualification compares to UK qualifications. 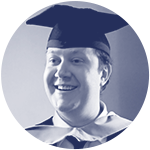 If you’ve previously developed skills and knowledge through experiences outside the formal education and training systems (normally in a work environment), you may also be able to have this recognised and credited towards your degree. APEL is different from formal learning, as it’s often unstructured and can be more personal and individualised. Please be aware that learning must be at an equivalent level to the modules offered on our programmes, and you’ll need to provide evidence of this. This is typically done by means of a portfolio. It’s usual for this to involve some sort of reflective writing about your learning, but it might involve many other forms of evidence too. 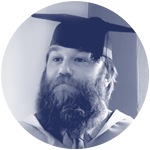 The tuition fee for the BA (Hons) Graphic Design is £4,500 per level, and there are three levels in the degree programme.